Hit the road in style by wearing this pair of leggings from Desigual. They features a printed pattern that renders their fashionable look. In addition, they have a waistband with elasticated one that will provide you with a proper fit. It is also quite comfortable to wear, owing to the use of a premium quality fabric. 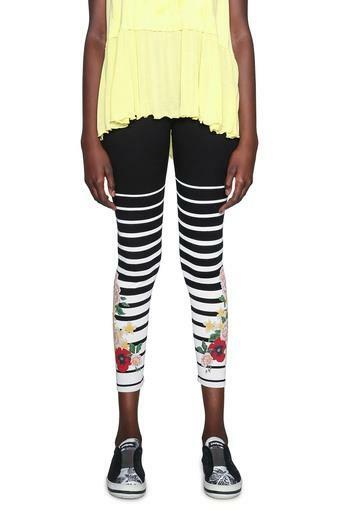 Look smart for any casual outing with friends by wearing this pair of leggings. They can be teamed with a kurta or a tunic to make a distinct style statement.